Art is a rich domain that encompasses different styles, techniques, as well as media, and sculpture and ceramics are just two of the broad categories that fall under the umbrella of art. Here’s a look at the characteristics of the two and how they relate to each other. The art of creating sculpture has been around thousands of years ago, which likely began in prehistoric times when early people carved or scratched drawings on the walls of their caves. (1) Otherwise known as “plastic art,” (2) because of the “plasticity” or shaping process it entails, sculpture is a primary symbol of Classical Antiquity’s cultural achievements. Sculpture​ also played a major role in the evolution of Renaissance art in Italy. (3) (4) For many centuries, sculpture, along with architecture, was a major form of significant religious art that became a driving force in the civilization of Europe. In the past, sculptural art forms fell under only two types: sculpture in the round or free-standing sculpture, (6) and reliefs, which included bas-relief, sunken-relief, and haut-relief. (7) Any material that is able to be shaped in three dimensions can be sculpted, but stone, particularly marble or hard limestone, metal, ivory, wood, and clay have been in use since prehistoric times. (8) These days, light-related sculpture such as holograms, and mobile sculpture are now considered sculptural forms as well. The 21st century saw a rise in the use of a wide range of materials that reduced the defining characteristic of sculpture art into one: three-dimensionality. As a result, sculpture is considered as the sole category of visual arts that explicitly deals with demonstrative three-dimensional form. Mass and space are the two essential elements of sculpture. Mass is associated with the bulk of the sculpture or the solid portion contained inside its surfaces while space refers to the air around the sculpture. Space plays three key roles in relation to the mass: it defines the edges of the sculpture, it can form hollows or empty areas by being enclosed by the sculpture, and it can connect separate parts of the sculpture. 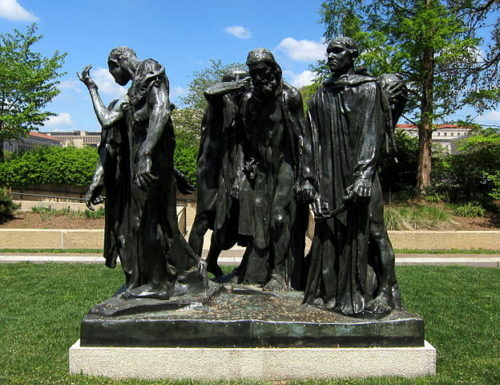 Some of the world’s​ greatest artists were classical sculptors such as Michelangelo, Donatello, Bernini, Auguste Rodin, Picasso, and Constantin Brancusi. Ceramics and pottery are one and the same in terms of visual art since they both signify the basic four-step process of forming, firing, glazing or decorating, and refiring. On the other hand, the distinction between “fine arts” and “crafts” as they relate to ceramics is broad. Generally, fine arts are objects that are created solely for their aesthetic or visual appeal while crafts refer to objects that are more functional than ornamental. Hence, artistic works are related to fine art pottery or ceramics, whereas pottery often signifies dishes, pots, and other serviceable items. Nonetheless, some ceramic items are utilized both aesthetically and functionally. The cache of figurines discovered at Dolni Vestonice in the Czech Republic, supposedly to have originated in approximately 25,000 BCE is considered the earliest known fine art ceramic sculptures. On the other hand, the earliest ancient pottery, which is believed to have been found in China is thought to have been from approximately 30,000 BCE. These dates, however, are yet to be established scientifically. Earthenware dates back to the Stone Age, making it the oldest type of pottery. Fired at the lowest temperature (1,000-1,2000° Celsius), earthenware is the softest type of pottery. Thus, it is easily scratched. It is also porous, which means it absorbs water. To make it waterproof, earthenware needs to be coated in vitreous liquid and re-fired in the kiln. The color of earthenware ranges from buff to dark red, gray, black, even cream, depending on the amount of iron present in the clay. According to records, the earliest stoneware was produced during the Chinese Shang Dynasty in 1400 BCE. In Europe, it first materialized in Germany in the 15th century. Stoneware was so-named due to its dense, opaque, and stone-like characteristics after firing. In general, stoneware is fired between 1100° and 1300° Celsius. While often used in commercial ware manufacturing, stoneware is also used in the creation of fine art pottery. The distinction between stoneware and porcelain is unclear. To Chinese ceramicists, porcelain refers to any type of pottery that produces a ringing sound when tapped, while the West distinguishes porcelain from stoneware by the former’s distinctive translucence when held to the light. Combined Nomenclature of the European Communities differentiate stoneware from porcelain by the former’s opaqueness and the fact that stoneware is generally vitrified only to a certain extent. The color of unfired porcelain ranges from white to cream. On the other hand, bone china clay, the kind used in making porcelain popular in Britain and the USA, is white. After firing at temperatures that go from 1,200° to 1,450° Celsius, both types of porcelain clay turn white. In the world of art, sculpture and ceramics often intermingle. Sculptures are three-dimensional pieces that can be made from ceramic materials such as clay, which is first made on a potter’s wheel, then finished in an oven. Ceramic sculptures can take many forms, many of which are used for decoration and for function. Shoji Hamada (13) is one of the most famous sculptors whose work involved Japanese folk ceramics. He was inspired by Okinawan stoneware, Korean pottery, as well as English medieval pottery. 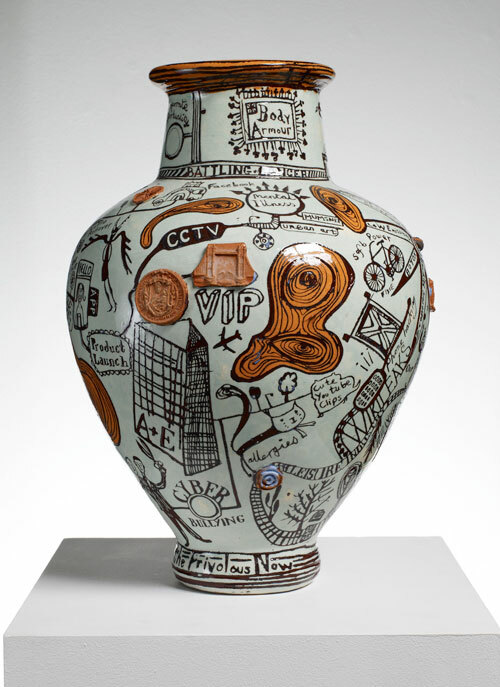 Other notable ceramic sculptors include Grayson Perry, Peter Voulkos, Betty Woodman, Karen Karnes, and Betty Woodman. Wendi Garcia. "Difference between Sculpture and Ceramics." DifferenceBetween.net. June 9, 2017 < http://www.differencebetween.net/object/difference-between-sculpture-and-ceramics/ >.